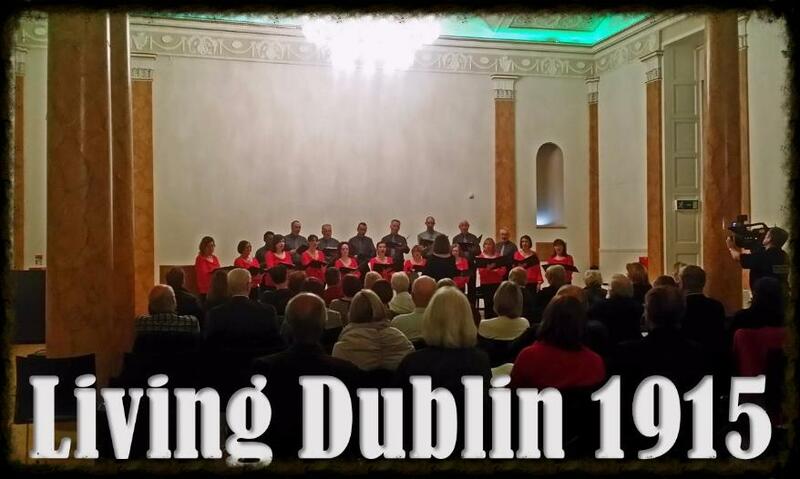 Living Dublin, 1915 celebrated the music of pre-Rising Dublin. The evening opened with a plainchant performed by past members of the Palestrina Choir followed by Renaissance polyphony pieces sung by Cantando under the direction of former Palestrina Choir Director Orla Barry. This year’s boy soprano Feis Ceoil winner, Max O’Neill, performed pieces from the 1915 competition. RTE Concert Orchestra Violinist Sarah Sew played traditional Irish Airs from the Abbey Theatre’s 1915 music programmme (written by the Musical Director John Larchet), accompanied by concert pianist Stuart O’Sullivan. New Dublin band Obtuse performed a rousing set of traditional Irish music from the pubs and music halls of the time and Fair City’s Dave Duffy sang Percy French songs. This was an excellent and varied concert which the large audience appreciated. The intimate surroundings of the Pillar Room added much and all agreed it was an excellent evening's entertainment. Surplus proceeds from the event went to the Friends of the Rotunda.